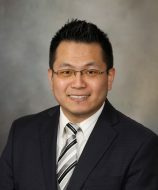 Dr. Ming Xu is an assistant professor at University of Connecticut Center on Aging Department of Genetics and Genome Sciences. His research interest involves the understanding of underlying mechanism of age and metabolism related tissue dysfunction and diseases and finding therapeutic targets for combating with these diseases. His education and research experience provided him with excellent research background including cellular and molecular biology, biochemistry and animal study. He received his bachelor degree of Biological Science from Fudan University, top 3 universities in China in 2004. After two years of experience in working embryonic stem (ES) cells as a research assistant, he came to University of Kansas Medical Center (KUMC) for his graduate study in 2006. As a predoctoral student, he mainly worked on metabolism using both animal and cell model and had several publications in different journals. For his postdoctoral training, he worked with Dr. James Kirkland in Mayo clinic for six years. Together they found that aging results in cellular senescence in a range of tissues and clearing senescent cells through genetic and pharmacological approaches enhances both lifespan and healthspan in mice. In 2018, he joined University of Connecticut (UConn) Center on Aging as a faculty member. His lab will mainly use novel animal models and human cell transplantation models to study the underlying mechanisms by which senescent cells induce tissue dysfunction. He believes his expertise in cellular senescence make him very competent for the proposed research. His long term career goal is to develop interventions to enhance healthspan and lifespan in aging human populations.